Horsham District Council plans to reduce its ‘inordinately expensive’ bed and breakfast bill by leasing nine flats as temporary accommodation for the homeless. The 10-year lease from Saxon Weald would save the council almost £50,000 each year, members of the cabinet have been told. Horsham already has planning permission to develop sites in Rowan Drive, Billingshurst, and Peary Close into temporary accommodation, but a ‘sustained increase’ in demand has raised the need for more. Tricia Youtan (Con, Itchingfield, Slinfold and Warnham), cabinet member for community and wellbeing, told members that the use of bed and breakfast accomodation had placed ‘a significant financial burden on the council’. In 2018/19, the costs were expected to be around £300,000. He suggested that future homes could be located in the south of the district because ‘not everybody works in Horsham and the population is spread around’. Mr Jupp was told that officers ‘considered opportunities when they present themselves’. 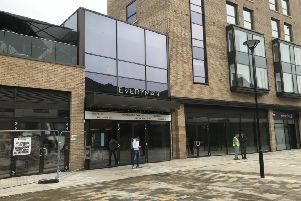 As well as looking at temporary accomodation, the council is working with a private landlord in the town centre to take on six permanent tenants. Plans are already in the pipeline for a district council-owned affordable housing company to be formed, which Mrs Youtan said would ‘go a long way towards helping what is, regretfully, an increasing demand’. West Sussex County Council is currently reviewing the housing-related support it offers to vulnerable people at risk of homelessness. District council leader Ray Dawe (Con, Chantry) said he was worried that, if funding was cut, it would simply ‘transfer the problems of homelessness onto the district councils’.